Welcome back to the Great DMV BookClub! We hope you all enjoyed reading along and hearing what we had to say about Campaign Widows. Up next is a book that takes place in Maryland. Most people who live in the DMV know that it’s high time to sadly pack up the boats for the winter and resign ourselves to cold weather and short days. That’s why we’ve decided to focus on boats for this month’s theme: to celebrate the vessels we won’t see for a few months. Will Larkin teaches algebra and has been married 2.92 years (he never rounds off.) He has no children, two friends, and one dog. His life is perfectly routine until he loses his wife, job, dog, and even his freedom all in one spectacularly hard year. He also didn’t plan on falling in love with a vet tech named Parker Cool. 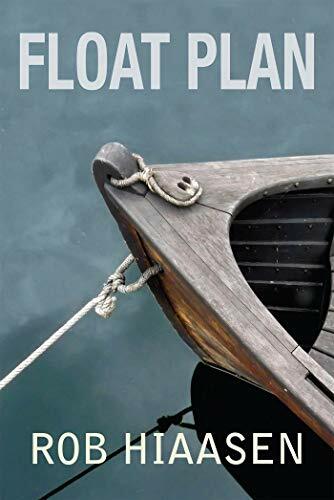 Float Plan is a love letter to Annapolis, and Baltimore – and to fathers and mothers, old friends, dogs, boats, and second chances. While Float Plan is a delightful celebration of what makes Annapolis great, its road to publication took a sad turn. Hiaasen had been writing the novel for at least a decade – working on it whenever he could and trying to make it as perfect as he thought it should be. But on May 28, 2018, Hiaasen and four of his colleagues at the Capital Gazette were killed when a gunman entered the newsroom. After their death, Hiaasen's wife Maria worked with Apprentice Press – a small publishing company out of Loyola University in Maryland – to publish Hiaasen's final novel. This is how Float Plan was born. In a reading of the book, Maria Hiaasen spoke about the story and her husband’s work on it. She shared that she could hear Rob’s jokes and his big-hearted nature all throughout the book, which is why she wanted it published. She wanted others to hear and enjoy what her husband had been creating all these years. Though Hiaasen and his family lived in Baltimore County, he worked in Annapolis for decades. He grew to love the kitschy little town full of sailboats and seafood. That love comes through in the book. Throughout the story, he mentions restaurants, tourist stops, and shops that every Annapolitan knows and loves. If you live here, or you’re from here, or you’ve just been here, you’re bound to love Float Plan for its dedication to introducing the world to Annapolis. 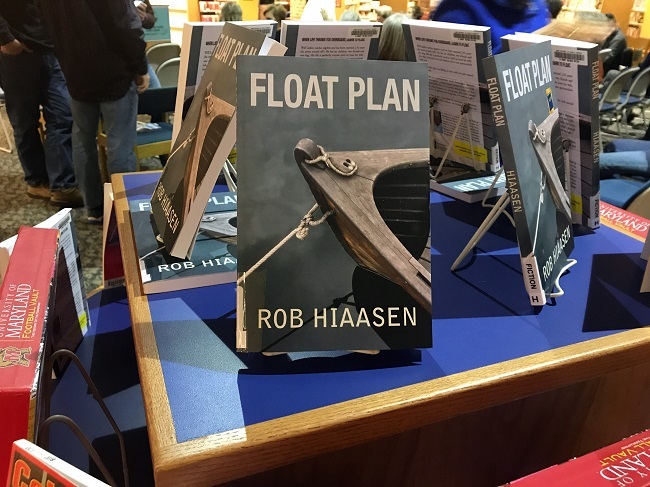 If that sounds like you, feel free to check out Float Plan at the library or purchase through Amazon or wherever great books are sold, (proceeds from the sale of each book will go to Everytown for Gun Safety in memory of Hiaasen and his colleagues at the Gazette) and follow along with us as we read and chat! A float plan is a record of where sailors are headed, their length of trip, and other details that would help them be located in the event of an emergency on the water. Will and Parker both create “float plans” for their lives in the book that include what they want to do with the rest of their lives. What’s in your “float plan"? Rob spends a great deal of time sprinkling in his favorite parts of the city -- from the docks down to some of the best restaurants in town. If you’ve been to Annapolis, what would you include in your tour of the city? And if you haven’t, what would you choose to include about your hometown? During the reading of the book, Maria Hiaasen mentioned that her favorite chapter is Chapter 14, while mine is decidedly Chapter 12. What’s your favorite and why? And is choosing a favorite chapter something you do often when reading? As always, we’d love to hear from you, so if you have a favorite DMV author or a great book that’s set in the area, comment away. We’re always looking to discover new and wonderful writers! And make sure to check back on Tuesday, November 19, for our review and discussion of Float Plan! Did you read October's selection? Check out our review of Campaign Widows here!